Crown Prince Haakon was forced on Wednesday to publicly defend his controversial decision to pull his children out of Norwegian public school. He and Crown Princess Mette-Marit are facing unusually harsh criticism over the move, not least from some of Norway’s top politicians. The royal couple announced Tuesday, through a palace spokeswoman, that they were pulling their 10-year-old daughter Princess Ingrid Alexandra and their eight-year-old son Prince Sverre Magnus out of the local public school they’ve been attending in suburban Asker, where the family lives on their royal estate Skaugum. Ingrid Alexandra, heir to the throne after her father and grandfather, will be enrolled in the expensive and private Oslo International School in Bærum after the summer holidays, while Sverre Magnus will transfer to the private Oslo Montessori School. Both children will need to be driven to their new schools every day, instead of being able to walk to the local public school. The criticism from Kolberg was surprising and especially harsh, since both Haakon and Mette-Marit are personal friends with several top Labour politicians, including new Labour leader Jonas Gahr Støre, and have been thought to sympathize most with Labour Party policy. Labour, however, is opposed to private schools and other forms of privatization in Norway, so the royals’ move comes as a slap in the face for the public school system that all of Norway’s parties are supposed to support. The royal couple also caught criticism two years ago when they defied public school regulations and opted to take their children out of school entirely in December and January to go on an extended family trip to the Middle East and Asia. That also sent a bad signal at a time when schools are trying to keep parents from taking their children on holidays outside set school holiday periods. It’s unusual for Norwegian politicians to directly criticize the royals, and Education Minister Torbjørn Røe Isaksen of the Conservatives declined comment. Roy Hagen-Larsen, leader of the royal’s security service, told newspaper Aftenposten that attending private school won’t further enhance the children’s safety. “They have plenty of security around them regardless of where they are, so this has nothing to do with their security,” Hagen-Larsen said. Crown Prince Haakon repeated claims made by the couple on Tuesday that their children have had “good years” at their local public school, “but we have come to this conclusion regardless, because we believe it’s best for our children right now.” They stated, for example, that it’s important for Princess Ingrid Alexandra to acquire “fundamental competence in speaking and thinking in English.” Classes at the private Oslo International School, which costs NOK 81,000 (USD 13,500) a year for Norwegian children to attend, are conducted in English. 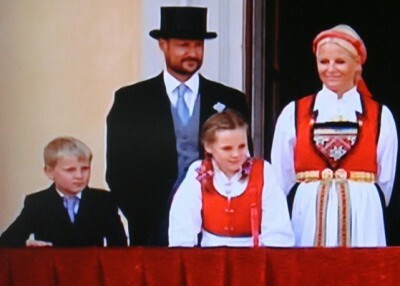 The children of Crown Prince Haakon’s sister, Princess Martha Louise, will also attend the private Steinerskolen this fall. Both Haakon and Martha Louise, however, attended public elementary and intermediate school.